The following are available at the Soldiers' Monument during monument openings and at monument events, as well as other items not pictured. Two items are also available at True Value Hardware Store, 276 Main St., Winsted. Cotton ball cap, one size fits most adults. Embroidery done by Winsted's own Embroidery Wizard. May be purchased at monument events or at True Value Hardware Store. $15.00 ea. 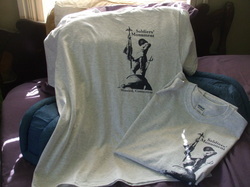 Variety of t-shirts available in broken sizes, from youth to adult at monument. The one pictured is available at True Value Hardware in sizes S and XL. $10.00 ea. 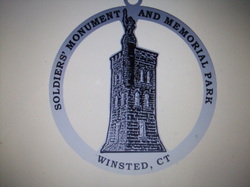 Pewter ornament from Woodbury Pewterers available at monument openings. $15.00 ea. 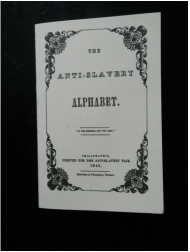 This small pamphlet was printed to raise money at Anti-Slavery Fairs. Our reproduction illustrates how abolitionists taught the next generation. 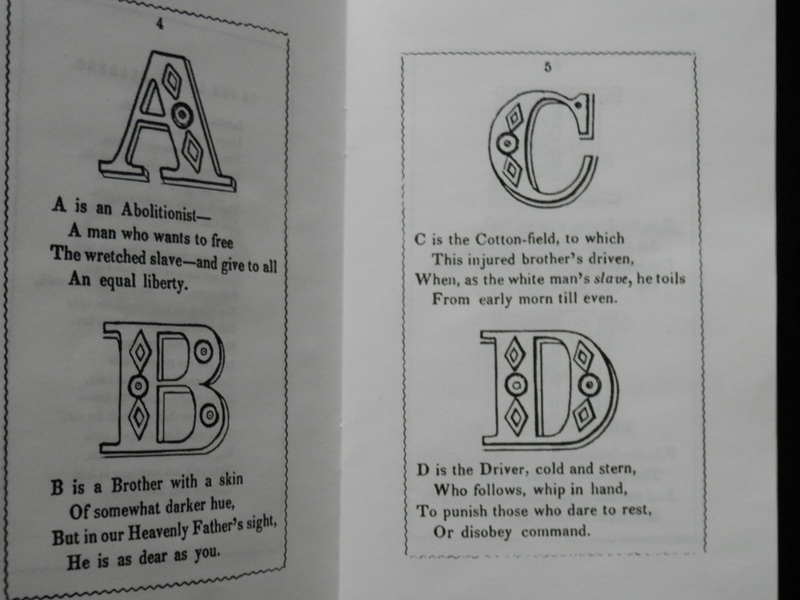 The pages may be used for coloring the letters as the poems are read. (See photo below). $5.00 ea.